^ "The Singapore Airlines A350 | Book flights from Adelaide". www.singaporeair.com. Retrieved 13 March 2019. ^ "Fiji Airways to serve Adelaide with Boeing 737 MAX". Australian Aviation. 29 June 2018. Retrieved 13 March 2019. ^ "Adelaide Airport's $165m expansion approved". ArchitectureAU. Retrieved 10 March 2019. 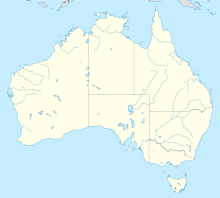 ^ "Flying Doctor bases around Australia | Royal Flying Doctor Service". www.flyingdoctor.org.au. Retrieved 22 March 2019. ^ "Flying Doctor aircraft fleet | Royal Flying Doctor Service". www.flyingdoctor.org.au. Retrieved 22 March 2019.